We are delighted to announce that Audition Oracle Singers' Preparation Bursary for January 2018 has been awarded to British baritone Felix Kemp. The award will enable Felix to have an intensive block of singing lessons with international soprano Pamela Kuhn whilst she is here in the UK. Felix will spend his lessons preparing for future performances that include his role as Marchese d'Obigny in La traviata as part of the 2018 Young Artists’ Programme at Opera Holland Park. This award is the first of 12 being made over the next year by Audition Oracle & friends. Applications for the next award will open on the 7th and close on the 28th of February. Watch this space for some exciting news about our next award! 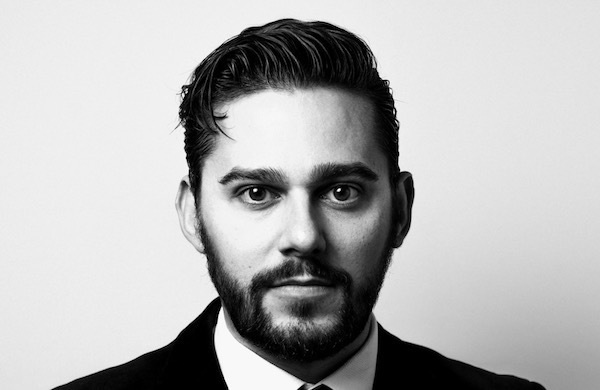 British baritone Felix Kemp is currently performing the title role in Eugene Onegin for OperaUpClose on UK tour and this summer he joins the Young Artist Programme at Opera Holland Park with the role of Marchese d'Obigny in La Traviata . Felix recently performed Masetto (Don Giovanni) for British Youth Opera, and with English Touring Opera he sang Jailer (Tosca) and several roles in Russell Hepplewhite’s Silver Electra. Felix has performed the roles of Melot (Tristan und Isolde) for Grange Park Opera, cover Spencer Coyle (Owen Wingrave) for BYO, and Le Brigadier in Herold’s Le Pré aux Clercs for Wexford Festival Opera. Following private studies in London, Felix continued his postgraduate studies at Trinity Laban, generously supported by the Kathleen Roberts Vocal Scholarship. Awards include 1st Prize Elisabeth Schumann Lieder Competition, 2nd Prize London Song Festival’s British Art Song Competition and Audience Prize at the John Kerr Award for English Song. Felix has performed at The Holywell Music Room as part of the Oxford Lieder Festival Mastercourse. Broadcasts include In Tune for BBC Radio 3. Recent concert highlights include Bach's St John Passion and B Minor Mass at Coventry Cathedral, Brahms' Requiem in Paris, Handel Judas Maccabaeus in Bordeaux and Rutter's The Reluctant Dragon at The Royal Festival Hall. Spring 2018 sees Felix singing Handel's Messiah (staged) on a UK tour with the Merry Opera Company, and Rossini's Petite Messe Solennelle with the University of Plymouth Choral Society.